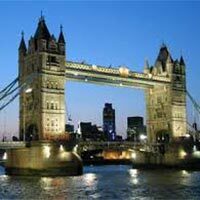 Any Private Transfers Taken To Move From One Place To Another Instead Of Coach For Any Activity/Sightseeing Done Twice. Anything Not Specifically Mentioned In Your Inclusion Column. On arrival Rome you will be meeting our representative at the airport who will assist you to board the coach and proceed for hotel check in as per the standard check In time of the hotel. . Overnight at Rome. Colosseum. 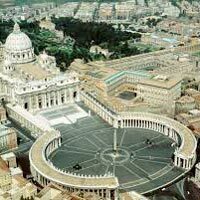 Later Proceed to Vatican City-the smallest nation in the world! 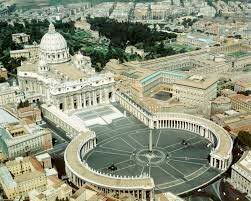 This includes Vatican Museum, one of the largest museum complexes in the world, the sistine Chapel and St. Peter's Square with St. Peter's Basilica - one of the largest churches in the world. witness the enchanting city of Pisa to witness photostop at the wonder of the world-the Leaning Tower! We also have photostops at the other famous sites located on the same Field of Miracles. Overnight stay in Pisa. Today after having breakfast at the hotel Proceed to Florence and have photostops at Piazzale Michelangelo Point and Statue of David. Proceed to Venice for city tour via canal cruise Tronchetto Pier past incredible miniature canals to the Piazza San Marco. Today also includes a tour with a brief visit to a Murano Glass Showroom for a demonstration in glass blowing. Also you can enjoy a romantic Gondola ride which is optional . and arrival in Venice free time to explore the beauty of nature. Overnight at Venice/ Padova . Today we will be visiting Mt.Titlis to experience 'Titlis Rotair'-world's first revolving cable-car ride! Here we also experience the thrilling Ice Flyer ride and snow slides (subject to operation). Today we also get to enjoy Lucerne city tour which includes Lion Monument, Kappelbrucke Wooden Bridge. Here we also have leisure time for shopping and enjoying the local scenic beauty. Not to forget the relaxing Lake Lucerne cruise which is also part of our day in Switzerland today. Overnight at hotel. 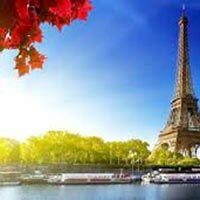 After having breakfast at the hotel proceed for a scenic and nature filled drive to one of the most lively city of Europe "Paris. Enjoy the most attractive and famous Lido Show in the evening which is optional . After having the breakfast at the hotel proceed with Paris city tour. This will includes the Louvre Glass Pyramid, Garnier's Opera, Place de la Concorde, Champs Elysees, Napoleanic Arc de Triomphe and Hotel des Invalides. Take in the dazzling overview of the city as you ascend by an elevator to the 3rd level of the iconic Eiffel Tower. 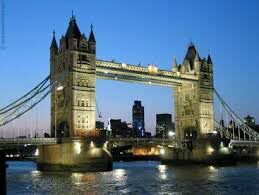 Enjoy Siene River Cruise in the evening. Overnight stay at hotel. After having Breakfast at the hotel, proceed to airport for flight back to home town with loaded sweet and wonderful memories.